Jo Michaels is a friend of mine. We met during the Author Blog Challenge. I loved reading her blog during the challenge, and she is one of those naturally generous writers who commented on everyone else's blogs during the challenge and was willing to spend her time helping others. I asked her if she's be willing to do an interview for the Chapter Book Challenge and she graciously agreed. I can’t remember the exact day/time that I decided I wanted to be a writer. It’s always been a part of me for as long as I can remember. I learned to read because I remember being little and staring at the words typed across the page and thinking: There is some great mystery in this because all the adults do it. What are they hiding from me? I have to learn! But writing just came naturally. If you’re asking when I decided to write full-time, that was last year. I decided to grab my proverbial bull by the horns and live the life I wanted, rather than the life I was told I should live. 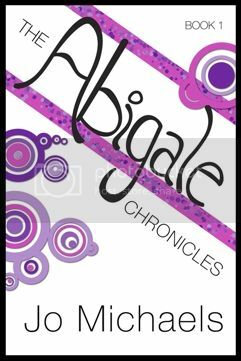 What inspired you to write your chapter book series The Abigale Chronicles? Simple answer: my daughter. Not so simple answer: I was making notes in my idea book while thinking of something my daughter might like to read and came up with the idea for a series about a little girl who loses herself in her stories – literally. I thought how great it would be if I threw in a twist about the girl not knowing if she was dreaming or really taking her little trips. There are clues in the books that will tell you the answer if you’re a good detective. You have both a historical fiction book, Yassa, and a nonfiction book, The Indie Author's Guide to: Building a Great Book out. How was writing your chapter books different from writing your historical fiction and your nonfiction books? There are so many differences with all three. Yassa required a ton of research because it’s based on actual events, The Indie Author’s Guide to: Building a Great Book didn’t because the content stemmed from my own knowledge as a designer and indie publisher, and The Abigale Chronicles series allows me to use my imagination along with a little research. For book two, I used a lot of references I found around the web about cat breeds. You won’t find a ton of description about the cats in the book because I want kids to be inspired to look things up. What made you decide to self-publish your chapter books? Truth be told, I never even sought a publisher for that series. I’d like to keep as much of my profits as possible, and with my design knowledge I can put out quality material with little effort on the design end. Would you recommend self-publishing to other chapter book authors? Absolutely. But I will also issue a warning to anyone wishing to write and publish juvenile fiction: There are a ton of us out there and your competition is heady. Two of the most published types of books are juvenile fiction and how-to books. Know your market. What would you do differently now if you could start over (if anything)? I would have taken more risks in the publishing world sooner and done more research about what I was getting into before I dove in. There just wasn’t a book like The Indie Author’s Guide out there anywhere. It was disheartening and I flailed around trying. My personal experiences with distributors are outlined in the book, and I hope that tidbit of information helps others avoid the same mistakes I made. Any tips for aspiring chapter book authors?Don’t stop writing if your first book doesn’t sell well. You have to have a lot of books out there before you can hope to be discovered easily. A good example is The Abigale Chronicles – Book One. When it went up for free, I only garnered about 25 downloads. My thought was: Gee, I can’t even give this book away. Why bother continuing? But then I got a couple of really great reviews and sales picked up! When book two launched, my first giveaway garnered over 50 downloads. My hopes are that people will become fans of the series by reading the first few and come back for more. I plan to write until Abigale is 18 years old (she’ll age by one year every three or four books) so there will be a lot of them before a definite end is reached. That’s another tip! Have the end in mind if you’re planning a series. Do you have any books in the works?Yes. I have three. A series for Young Adults called Mystic (due out in October, 2012), a romance novel titled Player (December, 2012), and The Abigale Chronicles – Book Three (due out in September, 2012). Abigale Fontenot is a 12 year old girl living in West Bluff, Louisiana, who believes she is perfectly ordinary. When she is threatened by a bully on her way to school one day, what happens causes Abigale to begin a new journey; she has to ask herself: "Is it real or is it all just a dream? "As Abigale learns in Book One, things are rarely exactly as they seem. Friendships are formed with unlikely people: a wizened old woman and Abigale's arch nemesis, Emmett, and with their help Abigale learns she is far from ordinary. 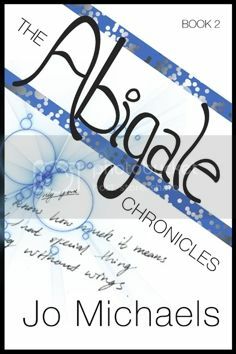 Book One of The Abigale Chronicles will leave readers itching for more to find out for themselves just what in the World is happening to Abigale. Twelve-year-old Abigale Fontenot is struggling to figure out whether her adventures are real or imagined. After an adventure with Amazonian women in book one, Abigale and Emmett have formed a bond through mutual trust and secrets, but Kristy has turned against Abigale because of it. Now, Abigale again finds herself in a precarious situation with a city full of talking cats. Emmett is once more by her side as she faces down a vicious cat queen in an attempt to avoid certain death and restore the leadership of the city to its rightful owner. Will they succeed, or will they be roasted alive? What will happen when Kristy overhears the discussions about the adventures with Ada? Abigale Fontenot is turning thirteen. Just when she thinks her birthday couldn't possibly get any worse, a new adventure takes hold. Abigale and Emmett are whisked away to a world of fantasy where knights, dragons, and princesses are the order of the day. Abigale is kidnapped by an evil prince in a nearby kingdom, and it's up to Emmett to rescue her. But Abigale finds that escape is not the most important thing; restoring the evil prince's kindness that has been locked away in a magical book by a wicked sorceress must come first. While Emmett is trying to rescue Abigale, she is trying to free the prince from his curse. Will she succeed in her quest before the evil prince kills Emmett, or will she fail and lose her new best friend? Will death matter if the whole thing is a dream, or are the adventures real and truly dangerous? You can find Jo on her blog or via Twitter. All books are linked on the top of the blog. Jo Michaels was born in 1977 in Tennessee. 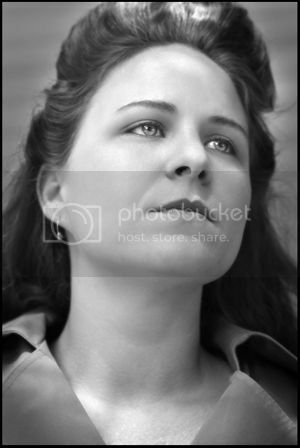 She moved to Louisiana when she was four, then to Georgia in 2010. Her first book, The Abigale Chronicles - Book One, has received many accolades for its original and inspiring protagonist, Abigale Fontenot. The children's chapter book was written for Jo's daughter and is about the power of imagination helping someone become extraordinary. Michaels holds a degree in Graphic Design and all artwork associated with her material is original and done by her. It was a pleasure to do this interview for you, Becky! Thanks for the opportunity! Looks GREAT! WRITE ON! I like getting to read about many different authors, their journeys, dreams, the writing process. Thank you for sharing.